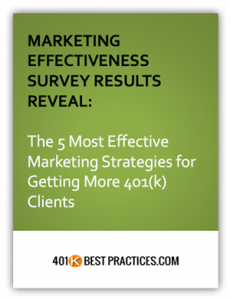 I wrote a guest post for Stephen Wershing’s blog at the Client Driven Practice titled “How to Carve Out a Niche in the 401(k) Market”. 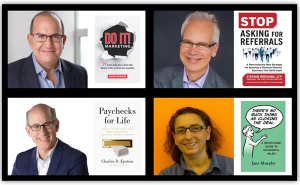 Stephen is all about niche marketing and talks about the benefits in his book titled “Stop Asking for Referrals” (McGraw Hill). He’s also a key contributor in the 401k Client Acquisition Workshop and I’m happy to have me article shared on his site. You can read the full article which gives four great tips on how to carve out a niche in the 401(k) market here.